Auto insurance companies constantly battle to claim providing the best deals, but only some actually pull through. There are many areas in your life where you can make cuts, and, believe it or not, your auto insurance is one of them. A year after I graduated college, I had my first taste in shopping around for new auto insurance companies. I felt I was not receiving the promised rewards of my plan at the time, and despite reaching out to my representative, no changes were made. After doing some extensive shopping around, I cancelled my plan and went with a new company. This reduced my monthly payment by roughly $60. Needless to say, I was very happy I took the time to do some research. 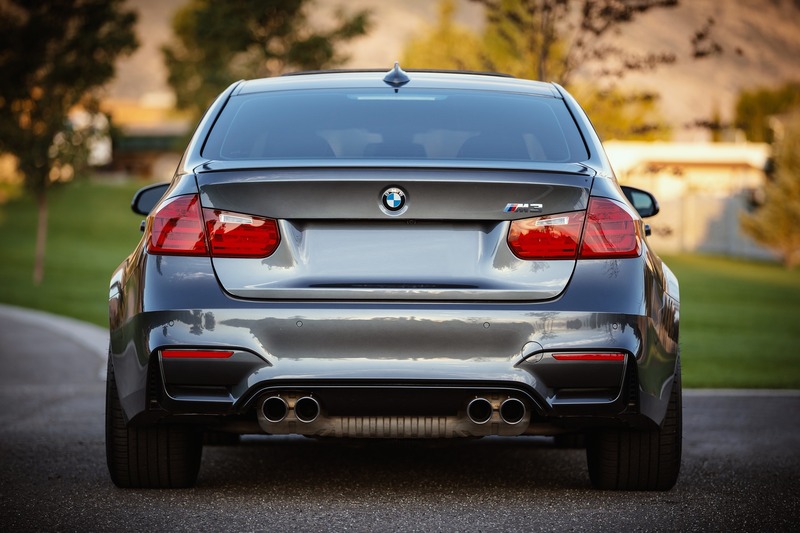 Many individuals tend to forget to reevaluate their car insurance. They are so focused on their car and having this investment protected that savings could be easily missed, which is completely understandable. But, when working on improving your personal finances, leave no stone unturned. Just because you already have a policy does not mean you can’t still shop around. Finding the best quotes is key to auto insurance savings. These insurance quotes from reliable companies will be the primary tool you need to leverage change in what you pay. Keep in mind that the estimates you choose should be from a comparable plan to your existing one. So, let’s get started and get you the savings you deserve with these quick tips. There is no cost to getting an auto insurance quote, so don’t limit yourself to just one. In fact, get as many as you can to really help you evaluate your options and to present these estimates to your current company. Performing a thorough research is the first step in this process, and a really important one. Ask for referrals from friends and family and consider looking on forums for advice on companies to speak with. Referrals are great, but you still need to research the company to make sure it is a good fit for you. Know what you need in a policy. What is the companies’ coverage like? What are their policies on accidents, speeding tickets and so on? Do they offer forgiveness plans? Do they primarily work online or are they very personalized in their customer service? Knowing all the background information and fine details are important in your savings journey. You may need to raise your deductible in order to lower your premium. As companies begin to run quotes for you, they will also look into your credit score, so just be prepared for that. If you need to improve your credit standing, this recent article published right here on Suburban Finance may help. Although agents will generally always be available to speak with you, you may be presented with additional costs to meet and talk with them. Not to mention, this will also take up a lot of your time. Try to do as many online searches as you can without speaking to an agent. Should you need to speak with someone for more details, there are some companies who do have online chats or will offer a complimentary phone call with a representative. If you have more than one vehicle, consider placing them all under the same policy. This will bring you even more savings. Overall, the goal is to weigh out your options to make sure you are getting the best deal for you and your budget. Customer service is huge for me, so when my previous auto insurance carrier failed to look into my issues with me, I decided to move on. If your company is willing to make changes to better suit your needs, they may be the best option you. Never be afraid to look into things and ask where you can save. The answers are out there; you just have to look for them. What tips would you add to the list? When you fix your credit, you are one step closer to financial freedom. But, how do you do this? Credit comes with its many benefits and of course its negatives. It takes careful, responsible spending and timely repayments in order to really see its positives and not experience its dark side. Those in need of repairing their credit know how difficult it is to be approved for loans, receiving lower rates and getting ahead. But, there is good news. You still have hope and can fix your credit. Continuing with credit seems counter-intuitive, but using credit is a great way to achieve a good score. As long as you pay them back immediately, do use your credit cards. You also want to mix up the type of credit you use (i.e. installment accounts such as mortgages and revolving accounts such as lines of credit). Don’t wait to repay; not only does this harm your finances due to interest rates, but it hurts your score as well. Your payment history is one of the key factors of determining your credit score. You want to make sure you can prove to credit card companies you’re capable of timely repayment in order to improve your rating. Opening a savings accounts helps to reach a favorable credit rating. As simple as it may sound, this does show companies that you are financially responsible and have the resources to pay for debts. You can dispute items from your credit reports. If you do, however, just be sure to spread them out and do one item at a time, starting with the most damaging or largest items first. Disputing too many things at once signals a red flag to the credit bureau, and they could consider them to be insignificant. Make sure to really take time to examine your report. This one is pretty simple. Just because you have a $5,000 limit each month does not mean you should reach or max it. Keep your balances low so that they are easier to handle. Tracking your monthly activity with your credit is just as important as tracking your other expenses each month. If something seems off, you will be able to dispute it right away. This is a good habit to develop. It will be a cost to get them monthly, but it will be worth it to keep you on a favorable path. To ensure your report and activities are current across the three major credit bureaus, retrieve reports from Equifax, TransUnion and Experian yearly. Not to mention, you’re able to get one free report from each bureau each year under the Fair Credit Reporting Act, making the cost of credit maintenance low. If you’ve put yourself in a bad situation with your existing debt, you generally should avoid opening more credit cards or loans to pay off what you have. This can really cause the problem to continue to spiral out of control. Instead, you need to start focusing on ways to reduce this debt in order to fix your credit. 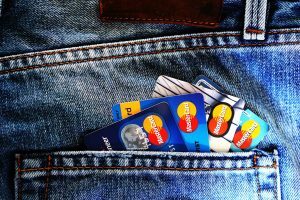 On the contrary, there may be times where it is OK to open another credit card in order to generate some positive credit history. 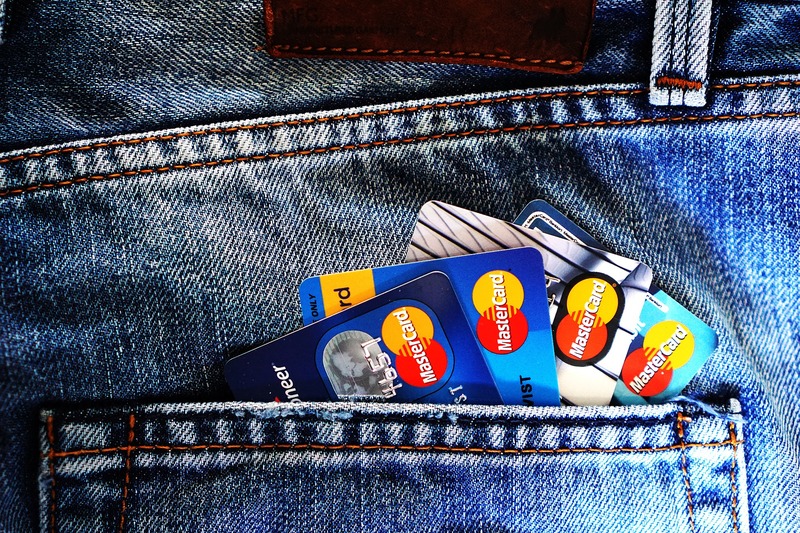 A secured credit card, which requires a deposit that serves as your limit, could be the answer for you in those sticky situations. Just don’t sign up for unnecessary credit cards. Know that this process will take time and dedication before you start to see improvement. There will be a many ups and downs on the road to credit repair, but try not to get discouraged. Make it a priority so that you can work toward that financial freedom you’ve been dreaming about for a while now. If you feel overwhelmed by the process, just take things one step at a time. Create better spending habits in order to ensure you are not in a situation like this in the future. What steps are you taking to fix your credit? What route has worked best for you? Personal branding is a great way to make money. A personal brand is not only important for enhancing your career, but it is also a great way to make money. Some of you may already be creating your own brand, and that’s great. Now it’s time to take it one step further. Become an influencer in your industry. Take any opportunity you can to educate others about your experience and your field. Resources like social media platforms (LinkedIn, Twitter, Facebook) and blogging are a perfect way to do this. Be seen. Network, network, network. You know how they say it is all about who you know? That is partially true. The more people you know, the more opportunities you have. Connecting with people both online and offline will be key to your personal brand. Another way to prove you know your industry is by participating in local committees or groups. This is a great way to not only tell people what you know but show them. Be educated. Attend conferences and seminars to boost your knowledge. The more you know, the more you can share and the more you are recognized. If you have a large online following, this may be one of the easiest ways for you to make money from your personal brand. Those individuals are staying in touch with you for a reason: you offer value to them. You can help them grow in their industry since you have been able to do it yourself. The hardest part will be pricing your services. One note and tip: Keep in mind, this is your time you are ultimately selling, so price wisely. Do not undersell or underprice yourself; you could end up doing more for less and running your mental resources dry. One problem with constantly sharing information online is that if you share too much, people won’t have a reason to buy from you. Sharing information is important, but you can take all the nitty gritty details and write them into a book that you can sell over and over again. Whether an e-book or hard copy, this is definitely something to look into especially if you love writing. Self-publishing tools exist online, such as Amazon’s Create Space, but you can also check for publishers locally. Another option is to write the book, copyright it and sell directly on your blog or website. If you’ve been successful in one aspect of your industry, talk about how you did it to a group of people. Share the knowledge, and charge an entry fee. (This is valuable information afterall.) The best part is you can do this either online or in-person, whichever route works best for you. If you work at an agency, they may allow you and even encourage you to use their own space to host one (depending on company policies). In addition to hosting your own workshops, you can create your own course and sell them through sites like Udemy.com. Skillshare is another option where you can apply to teach online classes and eventually be paid to do so. These are some great beginning points and some of the more common ways you can make money through your personal brand. Using your own brand is something you can do on the side or turn into a full-time gig. Your successes will impress employers as well and will help to set you apart from others for that dream job. Do you have a personal brand? Have you been able to make money from it? Share you own success with me in the comments below!